Dental anxiety is common among our patients. At North Shore & Brookline Endodontics (NSBENDO), we understand and respect patient fears and concerns. We strive to create a relaxed environment, and we take time to consult with each patient to determine his or her level of anxiety. Most patients find the experience of having root canal treatment to be much easier than anticipated. For our patients who have a higher level of dental anxiety, we are equipped to provide multiple sedation options that will ease patient’s fears while keeping them safe and relaxed throughout their procedures. The right sedation level is based on a patient’s level of anxiety, medical history, prior sedation history and necessary treatment. If you are interested in Sedation Endodontics, please contact our office to schedule a consultation with one of our sedation endodontists. If endodontic treatment is recommended, the endodontist will propose the possible sedation options and discuss the advantages, disadvantages and risks related with each level. 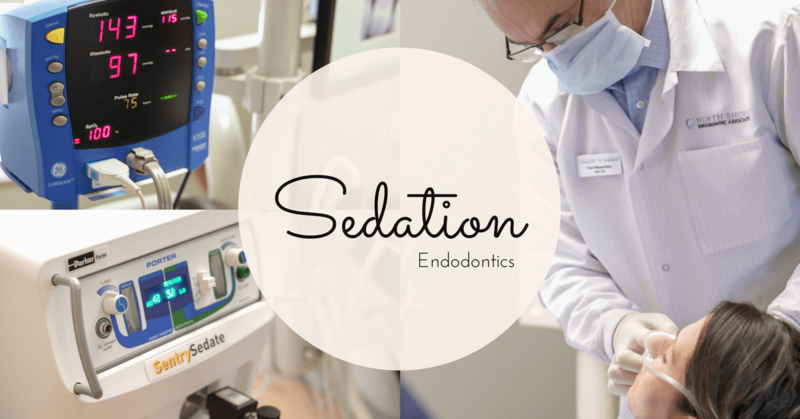 All levels of sedation options require specific pre and post-operative instructions, which will be given to patients and discussed during the sedation consultation. To aid our doctors and staff in the success, comfort and safety of your treatment, please follow all pre and post-operative instructions. At NSBENDO, safety and comfort have always been, and always will be our top priority.